Google (NASDAQ: GOOG) is almost set to launch in coming few weeks, however, in a very strange instance, SamMobile leaked some pictures of the latest Android L running on Samsung Galaxy S5. It has been stated that the Samsung is preparing to launch the upcoming Android L on the all of its Galaxy S5 devices, as soon as it is released. So far Android has been modified by its vendors. However, it is least expected by the companies to do so with Android L now. The new ‘materialistic design’ looks beautiful in the beta-preview for the device, however, it is still a bumpy ride due to unfixed bugs and issues in the build. An eight-minute-long video shows how Samsung has implemented the new materialistic design without losing the TouchWiz face. Different stocks apps, including messages and clock, has been redesigned from the ground up. The preview is still missing some of the animations and doesn’t look like the Google’s Android L – not entirely. The video suggests that the company has now changed few bits of the UI, which were left untouched earlier. The settings menu is now white instead of blue, and the quick settings in the notifications area are very similar to the Android KitKat. Samsung Galaxy S5 lock screen is very similar to that of stock Android L, however; it is only able to show only two notifications at a time. 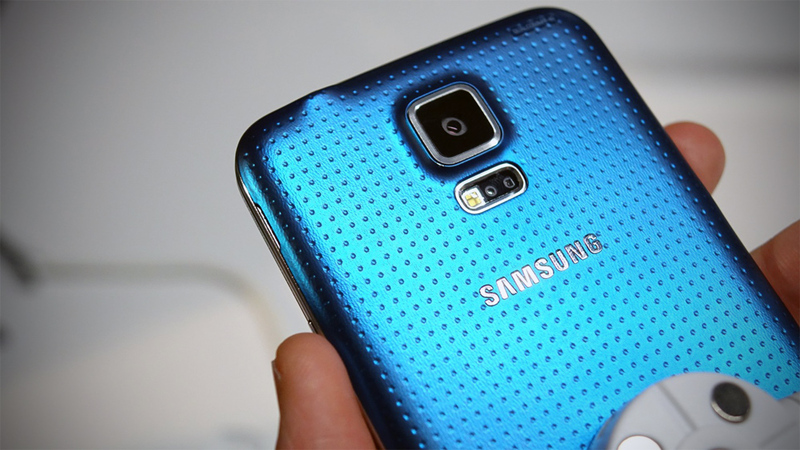 Samsung Galaxy S5 vs Galaxy Note 4 – which one to choose?